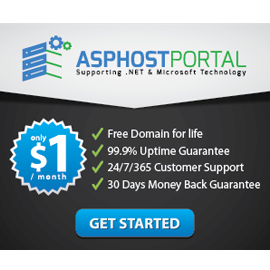 ASPHostPortal is the leading Windows ASP.NET hosting providers that offer reliable IIS hosting. It has secured its place because of great support and reliability. They are a right choice for anyone who are looking for an IIS hosting for small businesses, blogs, online portfolio, personal websites or professional websites. Now, they offer reliable IIS 10 hosting with good price and money back guarantee. Internet Information Services (IIS) for Windows® Server is a flexible, secure and manageable Web server for hosting anything on the Web. From media streaming to web applications, IIS’s scalable and open architecture is ready to handle the most demanding tasks. With IIS, people can deploy and manage Web sites and applications across large farms of Web servers from a central place. People can also Maximize web server security through reduced server footprint and automatic application isolation.